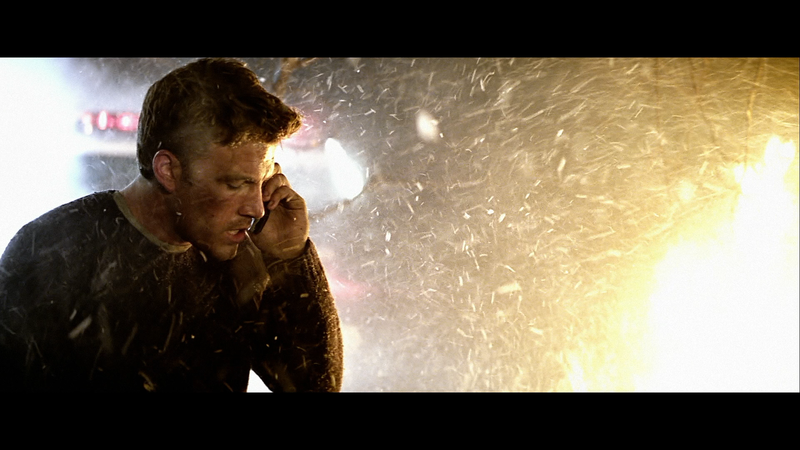 Note: Screen Captures came from the Blu-ray so they do not represent the quality of the 4K UHD. Plot Synopsis: This entry tracks Soviet submarine captain Marko Ramius (SEAN CONNERY) as he abandons his orders and heads for the east coast of the United States. Equipped with innovative stealth technology, Ramius’ submarine, “Red October,” is virtually invisible. 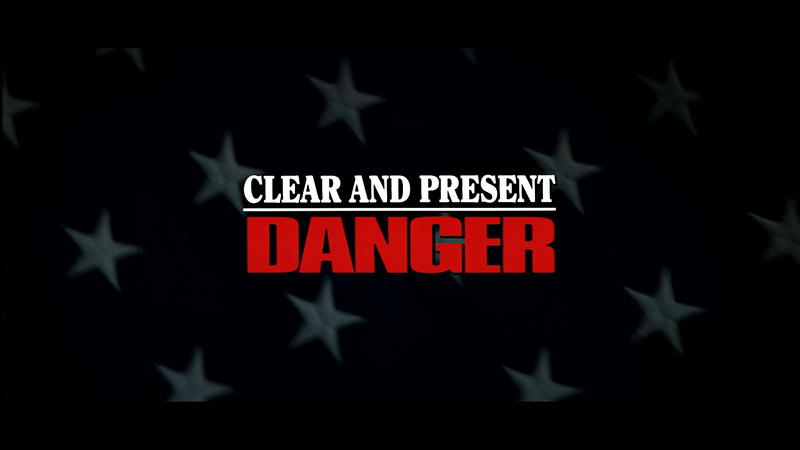 However, when an American sub briefly detects the Russians’ presence, CIA agent Jack Ryan (ALEC BALDWIN) sets out to determine Ramius’ motives, fearing he may launch an attack on the U.S. Plot Synopsis: When former CIA agent Jack Ryan (HARRISON FORD) hampers an IRA terrorist attack in London, he kills one of the terrorists. The dead man’s brother, another member of the group named Sean Miller (SEAN BEAN), is arrested but quickly escapes. Vowing revenge against Ryan, Miller travels to the United States, where he forces Ryan’s wife (ANNE ARCHER) and daughter (THORA BIRCH) into a car accident that badly injures them. This convinces Ryan to rejoin the CIA in order to track down Miller. Quick Hit Review: This second entry never was one of my favorites over the years and watching it again years later… it’s still one of the lesser entries though I did like Harrison Ford taking over the Jack Ryan role and Anne Archer was a nice choice to play his wife (in a blink or miss it moment, Gates McFadden (Star Trek: The Next Generation) in Red October. Sean Beans always make for a capable and scary villain and even Samuel L. Jackson has a small role. Plot Synopsis: Agent Jack Ryan (HARRISON FORD) becomes acting deputy director of the CIA when Admiral Greer (JAMES EARL JONES) is diagnosed with cancer. When an American businessman, and friend of the president, is murdered on a yacht, Ryan starts discovering links between the man and drug dealers. As CIA agent John Clark (WILLEM DAFOE) is sent to Colombia to kill drug kingpins in retaliation, Ryan must fight through multiple cover-ups to figure out what happened and who’s responsible. Quick Hit Review: The second turn for Harrison Ford as Ryan and, like the other films in this franchise, it was perfectly entertaining and Ford is in his element, though the action does get more fantastical and the Jack Ryan character, albeit with military training, divides the analytical side with being an action hero. This also boasts a respectable supporting cast of character actors like Joaquim de Almeida, Henry Czerny, Harris Yulin, Donald Moffat, Miguel Sandoval and veteran Willem Dafoe. Plot Synopsis: This film tracks a sinister plot to draw the United States and Russia into World War III. When the Russian president (CIARAN HINDS) suddenly dies, world tension escalates. Coupled with missing nuclear scientists and the threat of a nuclear detonation on United States soil, young CIA analyst Jack Ryan (BEN AFFLECK) must uncover who is behind the conspiracy. Quick Hit Review: This was Paramount’s first attempt to reboot the franchise casting a then on-the-rise movie star Ben Affleck in the role of Jack Ryan and taking the character more or less back to the beginning, at the lower echelon of the government. While I did like the story and keeping Ryan grounded versus the action superstar he was in particular with Patriot Games and Clear and Present Danger, and in Sum of All Fears, there was no speed boat chase or hanging off the edge of a helicopter being chased by a drug enforcer. Plot Synopsis: To his friends and loved ones, young Jack Ryan (CHRIS PINE) appears to be an ordinary executive; however, he has secretly worked for the CIA for years. Ryan was originally brought in to crunch global data, but when he uncovers a carefully planned scheme to crash the U.S. economy and spark global chaos, he becomes the only man with the skills to stop it. Now a full operative, Ryan finds himself caught between his secretive handler (KEVIN COSTNER), his clueless fiancée (KIERA KNIGHTLEY and a brilliant Russian leader (KENNETH BRANAUGH). Quick Hit Review: Only my second viewing, oddly enough this is perhaps one of the more entertaining of this “Jack Ryan Collection” as the story is pretty tightly written and Chris Pine as the title character showed some charisma and a certain believability even when he enters Action-Hero-Mode™. Kenneth Branaugh, who also directed, made for an adequately dangerous villain. The only downside is while Keira Knightly is as lovely as ever, she does strain her American accent, not sure why the character couldn’t been British anyway. I thoroughly enjoyed this installment but with the lackluster box office ($135M worldwide from a $60M budget) and that the studio yanked it from a Christmas Day release, which was an odd choice as this seemed better served as an August or November release, and dumping it in late January. For further reading, check out my full review here, though I did enjoy it a lot more this time than I did back it was released on Blu-ray in 2014. This 10-disc set (5 UHDs, 5 BDs) are housed in an extra-wide 4K UHD Keep Case and comes with a glossy slip cover. Inside are separate redemption codes for all 5 movies. Beneath the Surface (29:00; HD) is a retrospective behind-the-scenes featurette with on-set footage and interviews with the cast and crew and how the project came about. 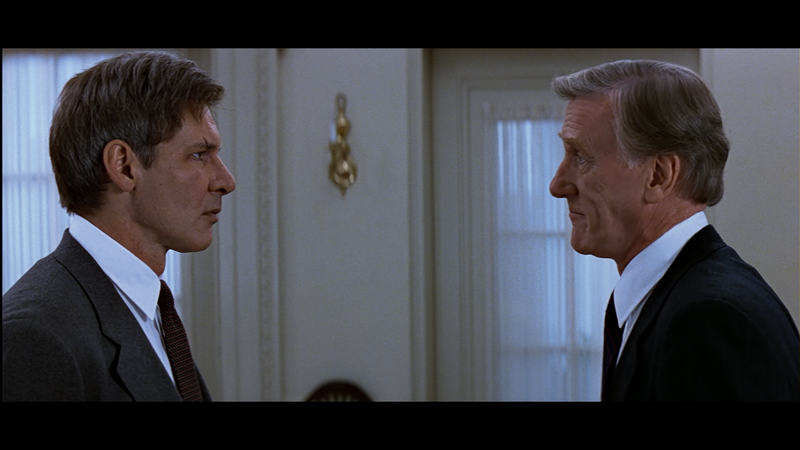 Patriot Games Up Close (25:14; HD) goes behind-the-scenes on this sequel and casting Harrison Ford in the role. Like the one for Red October, these interviews were filmed for the special edition released years ago. Behind the Danger (26:34; HD) is another retrospective featurette that has interviews with the cast and crew and some behind-the-scenes footage. 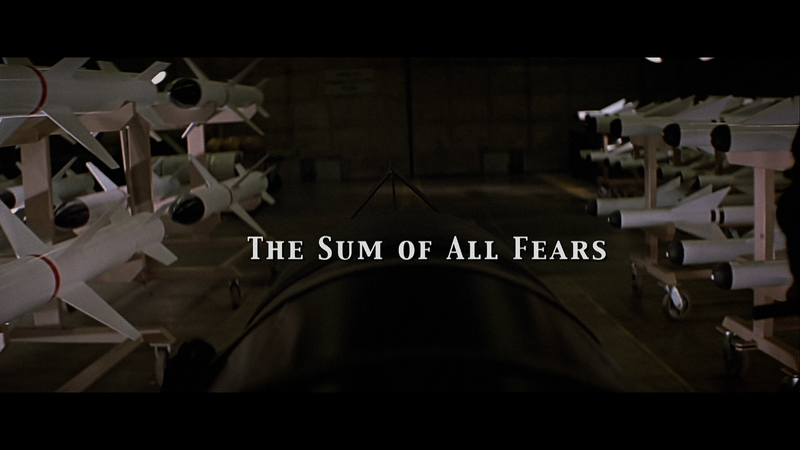 The Making of The Sum of All Fears (29:55; HD) delves into both the casting, including how the script was written specifically for Ben Affleck plus bringing aboard the supporting players, and the production with footage from behind-the-scenes. Creating Reality: The Visual Effects of The Sum of All Fears (27:48; HD) breaks down the effects work on several key scenes: Carrier Attack, A-4, Hospital, Motorcade and Helicopter. Audio Commentary – Actor/Director Kenneth Branagh and Producer Lorenzo di Bonaventura sit down for a friendly yet informative track covering the various aspects of making the film like bringing it to the screen, the script and working with the different actors. Jack Ryan: The Smartest Guy in the Room (13:37; HD) is an overview of the character through the years and trying to get him back on the big screen and features interviews with the cast and crew and also has clips from the other movies. Sir Kenneth Branagh: The Tsar of Shadow Recruit (9:49; HD) – This profile of actor/director Branagh provides some BTS footage and his approach on helming the picture as well as playing the villain. Jack Ryan: A Thinking Man of Action (5:19; HD) covers the action and fight sequences. Old Enemies Return (21:13; HD) is an extensive featurette using Russia and Branagh’s character as the villain and his motivations against the United States before delving into the real world rivalry between the two countries from the perspective of academia and even a former CIA counter-terrorism expert. Deleted & Extended Scenes (5:03; HD) – There are several scenes that were nixed or trimmed. There’s an optional commentary with Branagh and di Bonaventura. Also included is an alternate ending which, as described by Branagh himself, was anti-climatic. 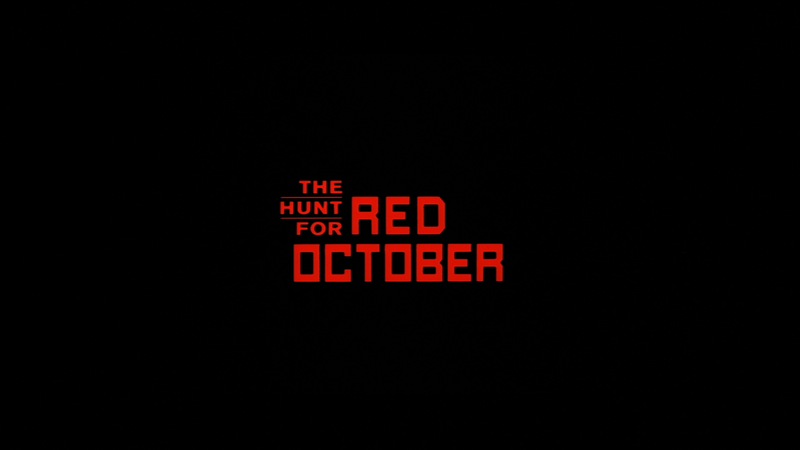 All five films are presented in their original aspect ratios and each have been 2160p high-definition transfers, scanned in 4K resolution and although a movie like The Hunt for Red October is in itself rather dark, even during the daylight scenes, showcase excellent detail, natural film grain and noise, and no major issues like artifacting or even banding, the latter I was especially on the lookout for as underwater scenes do tend to put that on display, instead the transition in colors was smooth. 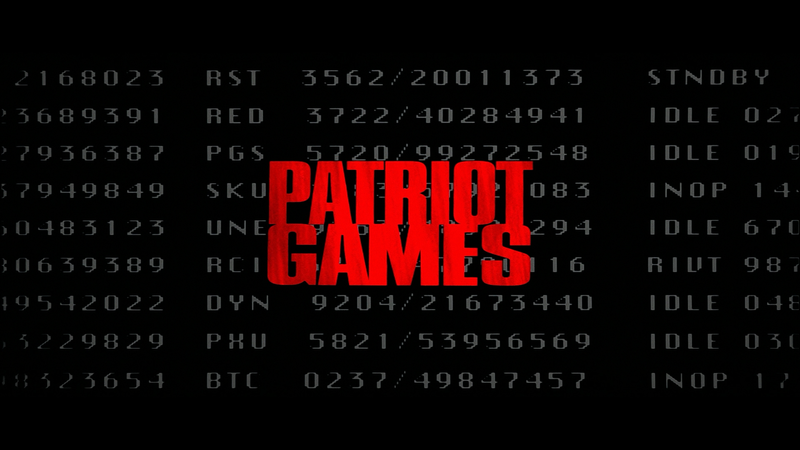 On Patriot Games and Clear and Present Danger, those two films also looked excellent. Like Red October, detail was sharp throughout and these movies were at least a bit brighter, perhaps helped some with the HDR (Dolby Vision also available). 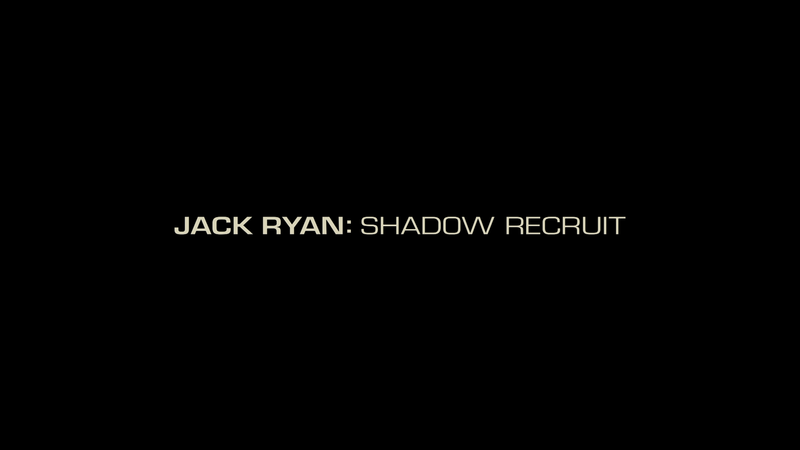 On The Sum of All Fears and Jack Ryan: Shadow Recruit, although their respective 4K UHD presentations looked quite good, I didn’t tend to notice as much noise or grain, but still rather impressive and, especially in terms of Fears, a solid upgrade over the Blu-ray counterparts, and same goes for the first three films as their respective transfers were nothing special. It seems there was no upgrading in the audio department as each film comes with their original tracks with The Hunt for Red October, Patriot Games, Clear and Present Danger and The Sum of All Fears coming with Dolby TrueHD 5.1 tracks and Jack Reacher: Shadow Recruit with a DTS-HD Master Audio 7.1. These are perfectly adequate showcasing good depth for the action sequences as well as crisp and clean dialogue levels from the center channel. 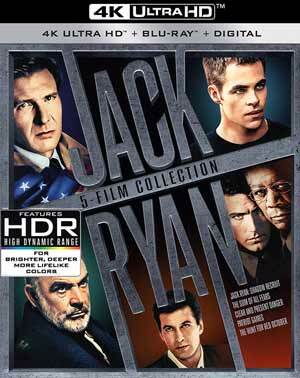 The Jack Ryan Collection is a solid release from Paramount for what I consider a nice franchise, however there never was one that stoodout, each being fine filmmaking and storytelling and nice performances from the respective actors, albeit I actually didn’t mind Chris Pine in the role, shame he couldn’t get another shot. In any case, this 4K release offers up excellent video/audio transfers while the bonus material was decent but not exactly noteworthy.